Many moons ago, before I discovered Mr Money Mustache and the entire concept of early retirement, I decided I wanted a new car. The evolution of our car ownership. It was 2010 and I was living in Sydney. I had always wanted a Toyota Rav 4. I’m not really sure why, they just seemed like a cool car to my young, naive self. I also told myself that, no matter what was to happen in my life- having kids, getting a dog, suddenly needing to haul large items on a regular basis- this car would allow me to do that. So I headed on down to my local Toyota dealer and promptly purchased a demo model. 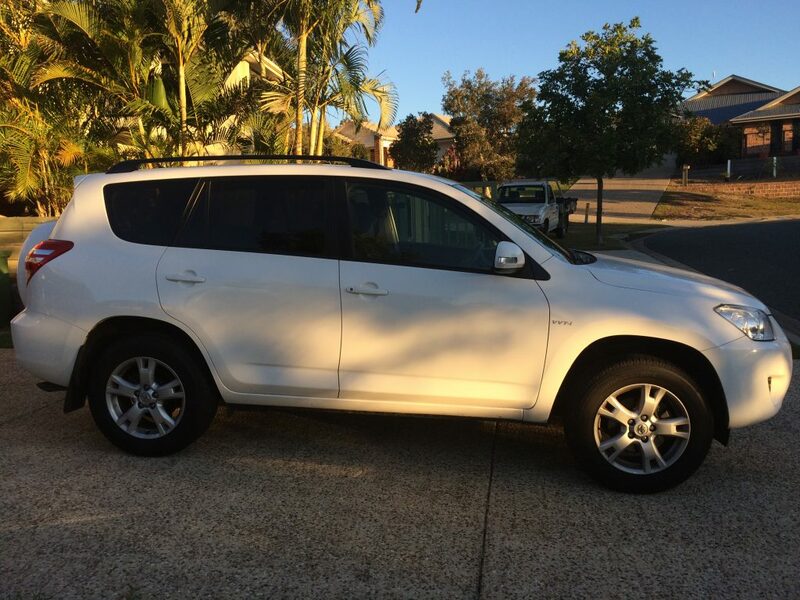 After trading in my old car and negotiating, I purchased a 2010 Toyota Rav 4 Altitude for $28 000. Fortunately, I was able to pay for this myself and did not need a car loan. However, looking back, I can’t believe I spent that much on a vehicle. I really loved that car. When I met Poopsie, he owned a 2007 Volkswagen Polo. It was the two door model, so not overly convenient. He had bought it second hand, so it had some paint damage to it, but overall, a good car that he enjoyed. For the first year of our relationship, Poopsie lived in Newcastle and I lived in Canberra, so we both needed a car. I had always had a niggling feeling of guilt at the back of my mind that I was driving an SUV. I had read all of the MMM articles espousing fuel efficient small cars, but merely put it at the back of my mind. Finally, Poopsie and I moved in together in Newcastle, and we decided we would go to one car. As I said, his car was only a two door and thus, we found it quite inconvenient. It made it hard to transport large items and wasn’t particularly comfortable when we had his three children. As such, we decided we’d place his car on the market. Unfortunately, we didn’t get any bites. But on the market it sat, even while we moved up to Brisbane. We needed to live in a certain area in Brisbane so that Poopsie’s children could easily get the school bus to our house and their mother’s house. This meant a 25 minute drive for us to work. While this probably isn’t that far to many, it certainly was by Mustachian standards! But alas, it was what had to happen. We decided that if we couldn’t avoid the commute, then we needed to make it as cheap as possible, which meant it was time for the Rav to go. We didn’t want to keep Poopsie’s car, mainly because it was a two door and therefore not suited to our lifestyle. We put the Rav on the market and kept the ad up for Poopsie’s car as well. We didn’t intend to purchase a new car until we’d sold one of ours, but Poopsie got straight into researching. Our main priority was fuel efficiency, and we wanted to make sure it was a five door. Finally, he narrowed it down to a Honda Jazz (known as a Fit in the USA) and a Volkswagen Polo- similar to his car but with some extra room. Mainly for research purposes, he started to peruse carsales.com.au to see what he found. Enter: the perfect car for us. 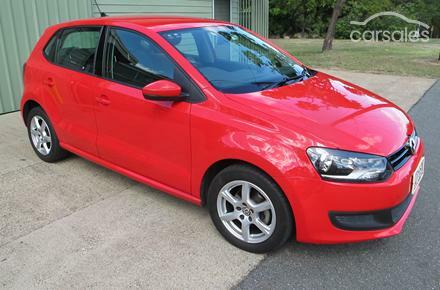 We found a red 2012 Volkswagen Polo Manual with 65 000km on it. It had been owned by a lovely man named Tony who was excellent to deal with on all levels. He loved the car but had recently retired and just didn’t need it anymore. Following the safety inspection, he also put two new tyres on it which should last us for a long time. Our new to us car. 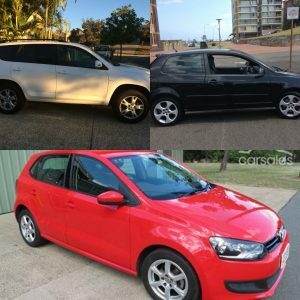 We paid $10 500 for the car (cash of course) and we were now a three car family! We were extremely embarrassed by this fact, but our cars just were not moving. No one seemed to want them! We would occasionally get an inquiry but no one ever actually came to view them. We left on our big adventure, still owning three cars. On our return, it took approximately two weeks to sell the cars. Suddenly we had interest. We hadn’t done anything, we hadn’t updated the ad and we hadn’t lowered the price. We sold the Rav first, for $15 500 and that was followed closely by the unregistered Polo (which also now had a check engine light on) for $3500. 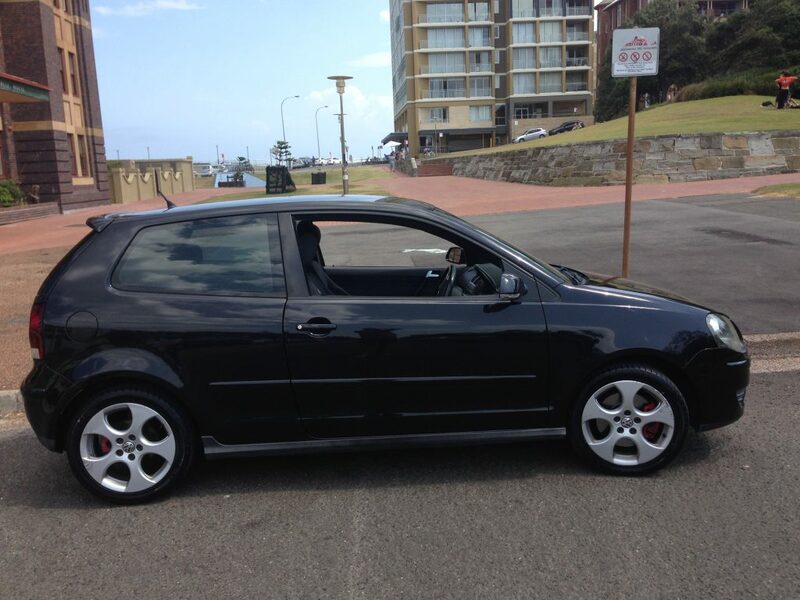 We debated registering and fixing the Polo up before selling, but decided to sell it as is. So far, we haven’t had any issues being a one car family. It certainly helps that we work in the same place and that we do most things together. We do try not to drive much on weekends, but often do. Hopefully we can continue to try and reduce this in the future. And what about fuel efficiency? Well, I used to average about 500km per tank in the Rav 4 and Poopsie could get about 650km in his Polo. What about the new Polo? 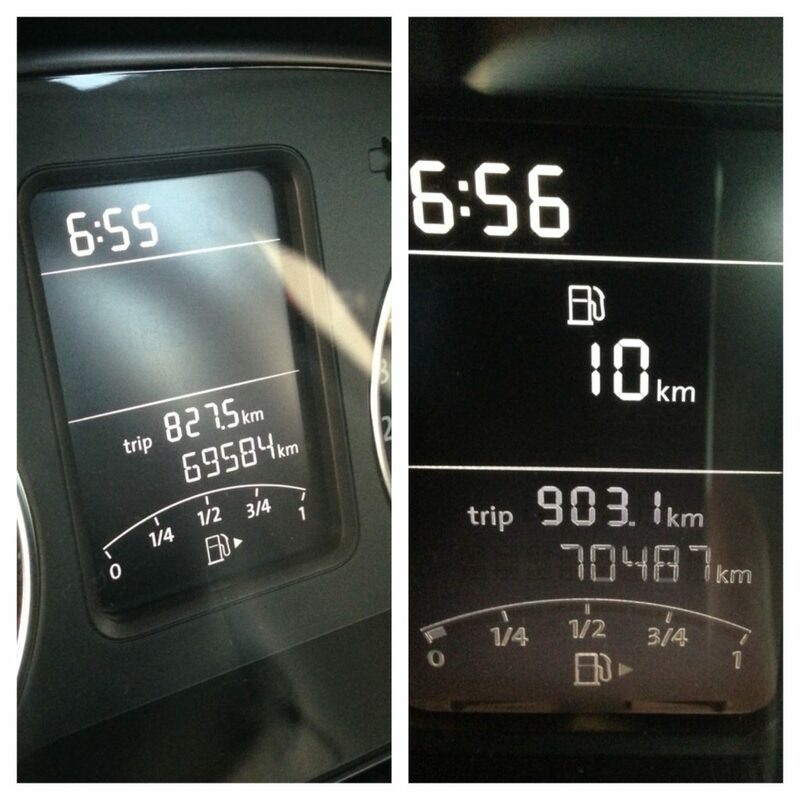 We now get somewhere between 800-900km per tank of fuel. We are very, very happy with this and have already seen a difference in our fuel costs. We look forward to this continuing for many years to come. All up, we came out $8500 in front and that money went straight into our offset account, helping us get one step closer to paying our house off and ultimately, retiring early. Have you ever been a one car family? Do you think you ever could? What’s stopping you? We love being a 1 car family and we always have been actually, so there was no adjustment for us. Tristan commutes via the train to work, it would take him a lot longer to travel by car and he would find it hard to find parking. On the weekends/evenings we do most things together so we would only need one car anyway. I’m glad to hear that you guys are enjoying being a one car family and that you managed to sell the other two in the end. How does Tristan get to the station? I can’t believe it took so long to sell your cars, but it was obviously worth waiting for the right price. I just told Mr. ETT that you guys get 900k out of your Polo, and his answer was “that’s the research I’ve been doing, I told you to get a Polo”. Clearly it’s a case of car talk, in one ear and out the other for me! I’m hoping not to have to buy a new car for at least another 5 years anyway. We will remain a 2 car family, we both have our own activities. I game on Friday nights, Mr. ETT does amateur theatre which involves lot of rehearsals. Also, he would have to leave 1/2 hour earlier to drop me at the station, then be home for 3/4 hour each day before leaving home again to pick me up. Alternatively my 5 minute drive to the station would be a 40 minute bus ride each way. Could we do it if we had to? Of course, but for now the inconvenience isn’t worth it.